Neal and Sharon Baker welcome you to their relaxing, secluded cabins! 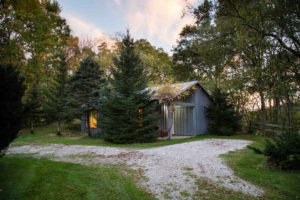 Our four vacation cabins and event center, are located on 200 acres in scenic Holmes County, Ohio. 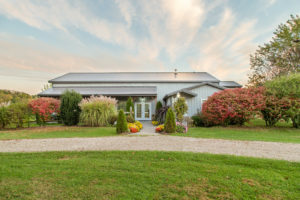 They are located in the heart of Mohican Country, close to canoeing, Amish Country, hiking, snow skiing, Malabar Farm, Mohican State Forest, wonderful sightseeing, and much more! 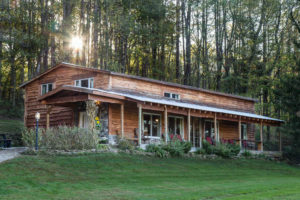 All of our cabins offer private hiking trails, satellite TV(except for Chickadee), fully equipped kitchens, fire pits with firewood available for purchase, charcoal grill, electric fireplaces, but most importantly we offer the best in privacy and relaxation. 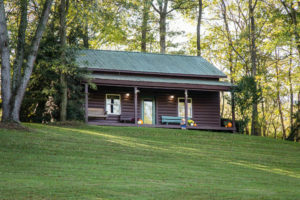 All of our cabins are one of a kind, hand built, and have something special to offer. Please take a few moments and have a look at our four cabins and book online before somebody else does. This cabin is great for a family retreat sleeping 12 people! 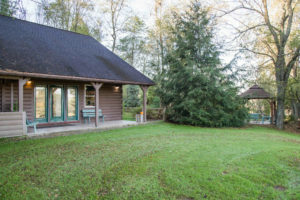 This cabin features a covered hot tub to submerse yourself in! Soak away your stress in a 2 person Jacuzzi tub, overlooking a beautiful wooded valley. Hummingbird will sleep 2 adults and 2 children. There is an outdoor hot tub overlooking a woods and pond. Chickadee will sleep up to 16 people. Ideal for wedding parties or large families. Event Center for up to 200 people.